A report based on MEK network inside Iran on the regime’s suppression of the recent protests in Iran was published recently. The protests are part of a larger uprising that has grown from economic unrest due to the fall in the value of the rial as U.S. sanctions are set to resume. Calls for regime change have been widespread among protesters in cities across the country. were dispatched to the scenes of the protests to disperse the gatherings and subsequently beat and arrested unarmed protesters. A young man identified by the MEK network as Reza Otadi was shot and killed by security forces while protesting in Gohardasht, Karaj on August 3rd. Shiraz: The regime’s police force fired tear gas onto the protesters, hitting a seven-year-old boy in the face. Karaj: Protesters were beaten by riot police and plainclothes police officers. The regime used water cannons to disperse protesters at night. Isfahan: Suppressive forces maintained a heavy presence in the main streets of Isfahan, there were attacks on protesters in several areas. Protesters who had gathered underneath a bridge were also attacked by riot police. Security forces in Noavaran Square stood in a row in front of protesters to attempt to block their path, then used water cannons on them to push the crowd back and disperse them. In another area, security forces clashed with protesters, firing tear gas and bullets into the crowd. Rasht: Riot police and security forces using batons and Tasers, beat protesters severely, injuring several. Karaj: Protesters were beaten by riot police and security forces. Isfahan: Riot police fired tear gas and pellet guns into a crowd of protesters. The protesters responded by throwing rocks at the police. The police subsequently fired live ammunition into the crowd, shooting a young protester in the leg. 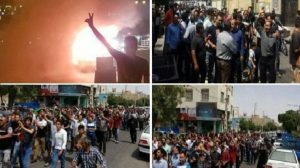 Ahvaz: Agents of the regime attacked small groups of people who were standing on the street. 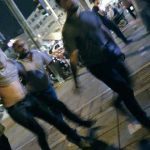 Tehran: Security forces in Valiasr Square assaulted and arrested several protesters. Shahin Shahr, Isfahan: Bassij forces from the Revolutionary Guards Corps confronted and severely beat people. Shiraz: A heavy security presence was in place in Shiraz. Security forces on motorcycles attempted to intimidate protesters by patrolling the area and attacking protesters. Plainclothes agents attacked protesters as well. Riot police fired tear gas into the crowds. Undercover agents went into the crowds of protesters to detain participants. Qahdarijan, Isfahan: Riot police shot tear gas into crowds after clashes with protesters. 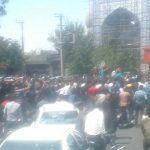 Karaj: Protesters were attacked on the streets by Bassij forces. Riot police fired tear gas at protesters. As night fell, riot police attempted to intimidate the protesters by marching on the street with motorcycle police following behind them. Mashhad: Police shot tear gas at protesters from motorcycles and from on foot. A number of protesters were detained. Shahin Shahr, Isfahan: Riot police shot tear gas into crowds of protesters, as police assaulted protesters with their batons. Riot police attempted to intimidate the protesters by patrolling the streets on motorcycles. Protesters were attacked by Bassij forces. Karaj: A large presence of security forces of all types was dispatched to the protests in Karaj. Many riot police were on the scene to fire tear gas and pellet guns into the crowds of protesters. Riot police also assaulted the protesters. Bassij forces, Revolutionary Guards Corps agents, and plainclothes agents attacked protesters with batons. Security forces shouted their support for the regime’s Supreme Leader while they beat the protesters. Security forces opened fire into the crowd. A young man, identified as Reza Otadi, was killed by security forces in the protests. Another young man was shot in the arm and taken to the hospital for treatment. Tehran: A heavy security presence was active in Tehran, with a large number of both police and plainclothes agents. Police arrested a number of people in Valiasr Square, both men and women. People who filmed the protests with cellphones were arrested. Police attacked a number of people with batons and Tasers, singling out women. Bujnord, North Khorasan Province: At least ten people were detained by security forces. Numerous protesters were attacked. Karaj: About 100 Bassij forces and Intelligence agents posed as protesters during the day, wearing masks and participating in the protests. As night fell, riot police attacked on motorcycles and the undercover agents began arresting people, pulling the protesters’ shirts over their heads and forcing them onto a bus. Qahdarijan, Isfahan: Security forces shot guns into the air. Eshtehard, Karaj: Protesters who had gathered outside of the Eshterhard Seminary were attacked and detained by security forces. Tehran: Protesters in South Kargar Street were attacked by riot police. Numerous people were arrested. Security forces were positioned in every major street to prevent any gathering. Internet lines were slowed and then completely shut off for a few hours overnight. Nothing could be sent out. Karaj: A water cannon and several different armored vehicles were brought into the streets, along with at least 30 security forces on motorcycles and almost 50 plainclothes agents in masks. All of the streets leading to Gohardasht were barricaded with cement barrier blocks. Cameras were installed in strategic locations to identify protesters. Security forces threatened store owners around Gohardasht and told them to close their shops. Bassij forces were armed with sticks, agents carried batons and other equipment, plainclothes agents carried weapons under their clothes to beat protesters. Security forces beat and detained a number of protesters. They shot tear gas into the crowd at frequent intervals. In other areas of Tehran, riot police and tanks were brought out. 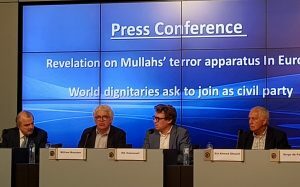 Today in News Conference in Brussels- the National Council of Resistance of Iran (NCRI) revealed the findings of its investigation into the structure of the Iranian regime’s Intelligence Ministry in Europe and the key commanders of the plot to bomb the #FreeIran2018 convention in Paris. 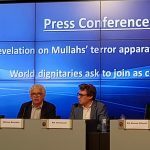 A group of prominent Belgian and European attorneys held a press conference on Wednesday, August 8th in Brussels, Belgium to release new information about the foiled terrorist plot by the Iranian regime to bomb MEK‘s annual gathering in Paris in June of this year and the response by the international community. The press conference included the news that dignitaries from Europe and the Middle East have requested to enter the court case against the diplomat-terrorists as private plaintiffs and to file their complaint against the Iranian regime. A number of elected officials and other dignitaries from the European Union have asked to be named as private plaintiffs in the case. Belgian attorney Mr. Rik Vanreusel represents many of the proposed plaintiffs and spoke on their behalf at the press conference. Sid Ahmed Ghozali, former Prime Minister of Algeria, was also present at the press conference and is asking to be named as a plaintiff. He was one of the speakers at the Free Iran Rally that was targeted by the diplomat-terrorists, “along with hundreds of personalities who were the potential victims of this foiled attack,” he said in a tweet. Belgian MP Serge de Patou emphasized that the Iranian opposition was the primary target of the terrorist attack. Renowned French human rights lawyer William Bourdon confirmed the arrest of Iranian regime diplomat Assadollah Assadi for his role in the foiled terrorist attack. Mohammad Mohaddessin, Chair of the Foreign Affairs Committee of the NCRI, described the events leading to the foiled terrorist attack on the NCRI’s annual gathering in Villepinte, France and the subsequent arrest of Assadollah Assadi and his associates. Mr. Mohaddessin obtained new information from the MEK’s network inside Iran that sheds light on the decision making behind the terrorist plot. Assadi was the “third counselor” of the Iranian embassy in Vienna and the head of the Iranian regime’s Ministry of Intelligence station there. He was arrested in Germany on July 1st on a European warrant. Assadi headed this MOIS (Ministry of Intelligence and Security) station since 2014, and for several years, this station has coordinated the activities of all other MOIS stations in Europe. Mohaddessin stated that Assadi was previously stationed as the third secretary of the Iranian embassy in Baghdad after the American invasion in 2004. Assadi used his position to gather intelligence and work against the MEK members living in Camp Ashraf at the time. Mohaddessin went on to say that Assadi planned his 2018 attack for months and met with his team several times to prepare them. He reported his work to Amiri-Moghadam. Mohaddessin reiterated the prosecutor’s statement that Assadi had personally handed over a bomb to the terrorist couple who was arrested in Luxembourg. Belgian authorities arrested a Belgian-Iranian couple on June 30th with 500-grams of high-explosive TATP and a detonator near Brussels. The couple was on their way to the NCRI’s Free Iran convention in Villepinte, France with the intent to detonate the device. The couple pretended to be members of the MEK, who had a large number of supporters at the convention. Tens of thousands of people were in attendance at the annual event, including dignitaries from the United States, Europe, and the Middle East. 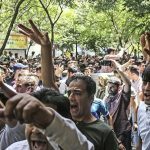 Last Friday and Saturday on August 3rd and 4th, protests continued in Iran’s major cities. Citizens from Tehran, Karaj, Isfahan, Mashhad, Shiraz, and Hamedan, among others, gathered in the streets to hear their voices heard. 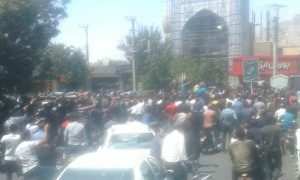 In Gohardasht, Karaj, citizens chanted, “Khamenei, shame on you” and “let the country go”. In Qom, the rallying protestors adopted the slogans, “down with Hezbollah”, and “down with the dictator”. In the nation’s capital, Tehran, College Street hosted one of the city’s largest protests. 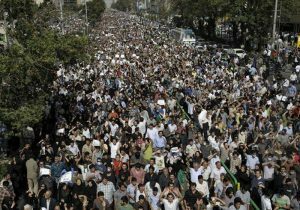 The capital’s youth gathered en masse, chanting, “Iranians would rather die than tolerate humiliation”. The regime’s response turned the peaceful protests into scenes of violence and aggression. In Gohardasht, the regime’s response was brutal. On Friday night, regime security forces closed all the entrances to the city and placed agents on rooftops. From their vantage points, the agents opened fire on the protestors below. In the violence, a young man from Karaj, named Reza Oradi, was shot and killed. The regime’s official statement on Reza Oradi’s death blames the deceased for his brutal and bloody demise. It read, “the assailant fired from inside the car 206 with a non-military weapon”. The statement once again attempts to posthumously cast a shadow on the victim’s character, a strategy the regime often employs after it has murdered innocent civilians exercising their right to protest. The violence was not limited to Karaj. In Ghahdarijan, protestors clashed with security forces again on Thursday evening. The Basijis and anti-riot units deployed to the scene of the protests also opened fire on civilians with live ammunition. Many protestors lay wounded at the scene. 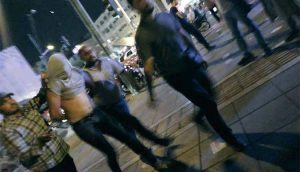 In Tehran, plainclothes officers arrested many of the demonstrating youths, and demonstrators at Vali-e-Asr intersection, Hafez Avenue, and College Bridge, clashed with the regime’s security forces. In Abhar, Zanjan province, the city’s Mosalla square resembled a war zone. Protestors burnt ttiresto prevent the movement and mmobilizationof the city’s security forces. The bravery and determination of the protestors is apparent. In taking to the streets to hold the regime accountable for its failings, the demonstrators are risking their lives and their freedom; a concept that is not lost on members of the Iranian opposition. Leader of the Iranian Opposition, Maryam Rajavi, praised the brave protestors across Iran. In a statement on Twitter, the sympathetic leader of the Iranian opposition offered words of encouragement to the protestors. She said, “the persistence of these young people against the Revolutionary Guards and the criminal plainclothes mercenaries as well as intelligence and security forces represent the determination of the Iranian people to change the mullahs’ regime and establish freedom and the rule of the people”. Rajavi has previously urged her fellow Iranians to stand with the protestors. A strong, united front against the mullahs is the only way to bring Iran’s dream of regime change to fruition. Despite heavy security measure, Iran protests are spreading across the country in all major cities. 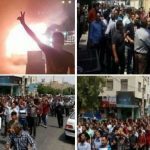 In scenes reminiscent of January 2018, on Thursday, August 2nd, the flames of protest once again fanned across Iran. Angry residents of Isfahan, Tehran, Mashhad, Shiraz, Najaf Abad, Arak, Karaj, and Ahvaz rose up as one against the tyrannical regime. The people’s frustration was channeled into a litany of anti-regime slogans. In Ahvaz, brave protestors filled Naderi intersection and chanted, “our enemy is right here; they are lying that it is America”, and, “the nation is poor, while the mullahs live like a god”. In Tehran, the protestors adopted a similar narrative. Those gathered in Vali-e-Asr Square chanted, “death to Khamenei” and, “death to the dictator”. Similar slogans could be heard from the multitude in Najaf Abad, and Shiraz, where the protestors gathered on Daryoush Street. It has been apparent in this latest wave of protests that the mullahs’ repressive strategies designed to prevent residents mobilizing and protesting are not working. The Islamic Revolutionary Guard Corps (IRGC) and agents of the regime were on full alert following the protests the previous day. Intelligence officials sent SMS messages to resident’s phones warning them not to partake in any protests the following day. The messages pointed at the People’s Mujahedin Organisation of Iran (MEK) of inciting unrest by using rising prices and a struggling economy to mobilize the population for political ends. Despite this, and the looming threat of imprisonment and execution, the brave protestors took to the streets anyway. In Tehran, defiant protestors clashed with the security forces and the IRGC. The protestors also set fire to objects and created blockades to stop the movement of the regime’s repressive forces. Reza Otadi was shot and killed by security forces. In Isfahan, protestors also clashed with the regime’s security forces. The regime’s agents attempted to disperse the crowd with tear gas, firing canisters into the crowd. To counter the tear gas, protestors burnt tires, to create a thick black smoke that would soften the burning effects of the gas. Weapons were deployed at protests in Mashhad. The regime’s agents shot into the air in an attempt to disperse those gathered. When this didn’t work, they arrested many gathered in attendance. The regime’s forces deployed violence to bring the situation back under control. In Isfahan, plainclothes officials attacked the protestors, but rather than be dispelled, the people fought back, fighting the regime’s mercenaries with anything that came to hand, including sticks and rocks. As images of the nationwide protests spread across social media, Maryam Rajavi, President-elect of the National Council of Resistance (NCRI) hailed the people’s determination. Her words look likely to ring true as more cities join the movement. There is no government on earth that more powerful than a united and determined population. The truckers and lorry drivers strike has drawn attention from the Iranian population, the regime, and the international media. This attention led to large crowds in Ishafan gathering in support of the striking truck drivers. 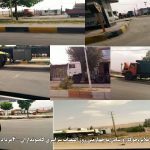 On August 1st, 2018, the strike from owners and truck drivers in Isfahan entered its second day. As the protest spread, shopkeepers, young Iranians, and other civilians disenfranchised by the mullahs’ repressive and violent regime took to the streets. The crowd marched down the city’s main streets, chanting “death to the dictator”, “death to high prices, death to unemployment”, and “incompetent officials resign, resign”. 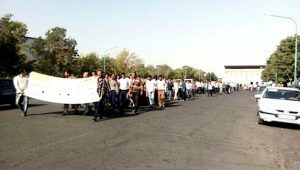 The truck driver’s strike in Isfahan is one part of a wider, national strike, undertaken by truck drivers over poor working conditions and economic decline. The most recent national strike began on July 24th, quickly spreading to major Iranian cities, including Mashhad, Qazvin, Farrokh Shahr, and Marand. The protests are crippling the Iranian infrastructure. Videos and images of, normally bustling, loading terminal stations in Khomeini Port sitting empty are circulating online. The truck drivers are demanding an increase in wages, which have stagnated despite soaring inflation, lowered insurance premiums, lowered prices for replacement truck parts, and reduced highway tolls. The first round of strikes, which began in May and lasted for 11 days, did not yield results. Commission fees have become a way for the mullahs to extort money from the nation’s truckers. The state-run ILNA news agency reported that logistics firms have to pay transport commissions of up to 10% of the cargo’s worth. Some shipment companies have been reported asking commissions up to 40%. On top of these crippling fees, increasing fuel prices and highway tolls eat into the truck driver’s meager earnings. The state-run Mehr news agency reported that Iranian truck driver’s earnings do not adequately cover their expenses, leaving many facing financial ruin. Much like the May strike, the latest round of strikes has been met with an aggressive response from the regime. In Isfahan, the regime sent its security forces to disperse the crowds and bombarded those gathered with tear gas. The protestors in Isfahan fought back against the agents of the regime. They burnt tyres to mask the tear gas. They would not be deterred and continued their protests in the face of mounting oppression. The trucker’s protest is just one part of Iran’s growing opposition protest movement. The People’s Mujahedin Organisation of Iran (MEK) has been a driving force behind a growing opposition movement. Maryam Rajavi, leader of Iran’s main opposition and the President-elect of the National Council of Resistance of Iran (NCRI) has been instrumental in drawing support and international recognition for the Iranian opposition movement. Rajavi threw her support behind the Iranian truck drivers, and all those resisting the mullahs’ rule across Iran. 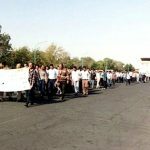 On July 31st, the people of Karaj mounted their own protest, taking over Gohardasht First Square. Again, the regime fought to bring the situation under control, but the determined people of Karaj erected barricades to block the movement of the regime’s forces. People of Isfahan take to the street their outrage over the increasing prices, the plunge of rial and lack of management by the regime. drivers, workers, the unemployed, young people, and supporters took to the streets to protest the clerical regime. Police and anti-riot forces used tear gas in an attempt to disperse the protesters, but people on some streets shouted them down with slogans. After the police pulled back, the protesters in Shapour set fires to block the roads. On other streets, youths confronted the anti-riot forces and burned tires to neutralize the tear gas. Repressive forces retreated from some streets. The MEK network reported that the protesters continued to push forward toward Khomeini Boulevard despite efforts by suppressive forces to disperse the crowd. Protests have also spread to Karaj, where demonstrators were attacked by police on Tuesday evening. The MEK network reported that protesters in Karaj were chanting, “Unemployment, inflation, the plight of people!” on Tuesday night. Karaj day 2 of #IranProtests. #Women take to the streets in high numbers to join protests. 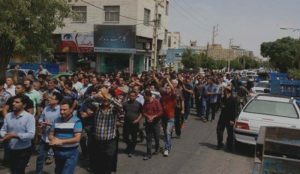 On Wednesday, the people of Karaj protested against the repressive regime for a second day. The protesters grew in number on the second day, with a large number of women joining in the demonstrations. Videos were shared on social media of protesters filling the streets and chanting slogans throughout the day and evening. As in Isfahan, anti-riot forces attempted to violently suppress the crowd, but the protesters fought back. Anti-riot forces charged the crowd at one point, but the demonstrators drove them back until they were forced to retreat. The protesters then burned the police motorcycles in the street. The scene was captured on video and shared on social media. 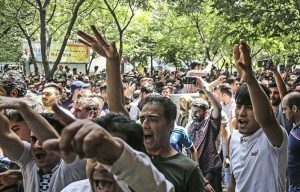 A number of strikes and protests are ongoing throughout Iran, as the current economic turmoil has brought simmering discontent with the ruling regime to the surface. A diagram of recent protests in Iran may be found here. Merchant’s strike in Tehran protesting the decrease in value of rial versus dollar. Merchants in Tehran and other cities in Iran went on strike on Monday, July 29th, in protest of the steep plunge of the rial and the increase of the dollar after the morning’s trading. The merchant’s strike comes at a turbulent time in Iran. Truck drivers and railway workers in Iran are both currently engaged in widespread protests as well, and the country has been in a constant state of protest since the uprising began last December. On Tuesday morning, a large group of truck drivers, shop owners, and citizens and youth from the city of Isfahan marched in protest of skyrocketing prices, repeated power outages, and human rights violations by regime officials in Isfahan’s industrial district. Shopkeepers have closed their stores as part of the protests. Repressive forces are on the scene, with anti-riot units stationed along different streets to disperse the protesters and prevent the demonstration from growing in size. Meanwhile, merchants in Tehran have been on strike since Monday. The regime, fearing that the protests would spread, positioned police, IRGC and plainclothes mercenaries to suppress the strike, where they proceeded to threaten and intimidate the store owners. On Tuesday, several merchants in the bazaar who refused to re-open their stores were arrested, as were a number of money changers. I salute you all for rising up again and resuming your strikes against the usurper clerical regime. The uprising which started last December is continuing to carry on thanks to the efforts of our people across the country, from Kazerun to Isfahan, Khuzestan and Baneh, from truck drivers and truck owners, to the workers of Haft Tappeh Sugarcane factory and the Steel Factory of Ahvaz, and merchants of bazaar in various cities. Today, the bazaaris and the truck drivers and owners echo the voice of the Iranian people against the mullahs’ destructive rule. The disastrous state of the economy and the foreign exchange market is the direct product of the regime’s depravity. The free fall of the value of Rial to the world’s lowest is a consequence of the rule of the mullahs who have destroyed everything to preserve their power. It is the consequence of squandering Iran’s wealth and revenues on the criminal war in Syria, and on export of terrorism and fundamentalism to other countries. It is the consequence of the devouring of the greater portion of Iran’s economy by Khamenei, the IRGC and state-backed foundations, which has left no business opportunity for bazaar merchants and has put the lion’s share of Iran’s consumers market at the disposal of major shopping centers owned by the IRGC and other regime factions. The mullahs have no solution for containing this chaotic situation and all of their measures and plans have failed. Sacking the Central Bank’s president, arresting bazaar merchants, spreading lies and false pretenses are no longer effective. Iran’s crumbling economy cannot be saved unless by toppling the regime. Expanding the protests to bring down the corrupt regime of theft and destruction is the only solution. I urge the valiant youth of Iran and the resistance units to support the strikes of bazaaris. The MEK supports the merchants, truck drivers, railway workers, steelworkers, and those who are without water and electricity in their protests against the corrupt Iranian regime. These are the protests of today. Tomorrow, the MEK will support the farmers who cannot irrigate their crops, the teachers who have gone unpaid, and the religious minorities who are denied due process. As long as the clerical regime exists, the MEK will support those who protest its policies and will fight to end its tyrannical rule. We agree with Mrs. Rajavi that the only solution to end the corrupt regime is to expand the protests. Sources in the MEK network inside Iran report that merchants in Tehran and other cities in Iran are striking again as the Iranian economy continues to plummet, with another dramatic decrease in the value of the rial, coupled with an increase in the value of the dollar. The strikes show a number of similarities to the truck drivers strike that is now in their eighth day. The merchants, like the truck drivers, launched a massive round of nationwide strikes earlier this year, but the regime has been incapable of addressing their concerns. Both the merchants and the drivers have now been forced to strike a second time, despite the clerical regime’s heavy suppressive measures. Protests began on the morning of July 30th. MEK sources on the ground report that some merchants in Tehran, Tabriz, Karaj, Ray, and other cities have declared strikes. Tehran’s carpet market is on strikes and has shuttered its shops in protest of the increase in the dollar and the recession that is affecting the bazaar. MEK sources say that Tehran’s gold markets did not open on Monday in protest of the increase in the dollar’s value and the economic downturn in the gold market. Manufacturers and shopkeepers are striking in the city of Ray. Only five out of eighty food bag manufacturers are currently open. 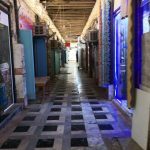 In Karaj, Qazvin Street, merchants, and shopkeepers did not open their stores and went on strike in protest of the increase in the value of the dollar. In Rasht, merchants went on strike to protest the increase in the dollar. 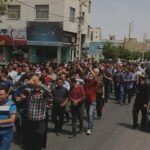 In Bandar Abbas, merchants went on strike in protest of the increase in the value of the dollar and the decrease in value of the rial. 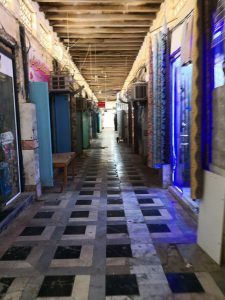 In Qeshm, marketers, and businesses kept their shops closed and went on strike in protest of the increase of the dollar, rising prices, and the recession of the market. The Amirkabir gold and jewelry market in Tabriz did not open in protest of the rise in the value of the dollar, high prices, and the recession. The MEK network reports that tool and machinery merchants and businessmen in Isfahan closed down their shops yesterday and went on strike in protest of high prices, the increase of the dollar, and economic turmoil. Security forces hope to suppress protests and demonstrations before they can spread. 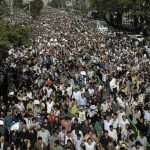 The massive protests and strike in May in Tehran’s Grand Bazaar spread rapidly, both within Tehran and to numerous cities, despite heavy suppressive measures. Security forces were deployed to suppress possible large-scale protests by merchants at Tehran’s Grand Bazaar, the Istanbul Metro Station and Ferdowsi Square. Anti-riot motorcyclists were deployed at the Jomhuri Crossroad and opposite the Aladdin Mall. The May merchant strikes that began in Tehran also followed a sharp rise in the exchange rate. The initial strike was in protest of the freefall of the rial, but within hours merchants and others were in the streets chanting, “Let go of Syria, think of us!” and demanding regime change. The protests quickly spread to other cities. The regime arrested a large number of protesters, threatening them with severe charges and imprisonment. Yet, at the end of July, the merchants are brave enough to defy the regime and strike again. The truck drivers strike continues despite the Iranian government’s intimidation and deception. 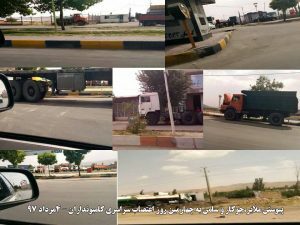 A July 29th article on the NCRI website written by Mohammad Sadat Khansari describes the root causes of the Iranian truck drivers’ strike, which is now in its seventh day. The strike that began on July 23rd has spread to 112 cities in 30 provinces and continues to grow daily, based on reports from the MEK Network inside Iran. The strike is the second round of protests by Iranian truck drivers, who first went on strike on May 22nd, with drivers in seven provinces refusing to carry cargo. The strike, which lasted for eleven days and spread to an additional 274 cities, attracted international attention and garnered the support of major labor unions, including the Teamsters and the International Transport Workers Federation (ITF). The state-run media has even acknowledged that the regime has been unable to address the drivers’ concerns. A July 22, 2018 article on the Tabnak website titled “Despite Earlier Promises, Truckers’ Concern Are Still in Place” described the problem. According to MEK network inside Iran, during the first round of strikes, the regime initially attempted to repress the protests. When those efforts were unsuccessful and it became clear that the nationwide strike could not be suppressed, the regime agreed to make some concessions to the truck drivers. Among the concessions was a 20 percent increase in transportation fees, a decrease in transport companies’ commission rates to 12-14%, and the end of the use of the SEPAHTAN tracking system. These short-term fixes did little to address the larger concerns of the nation’s truck drivers though, and on June 23rd, the drivers went on strike again, saying that the regime had done little to meaningfully address their concerns. The report says that the truck drivers have asked for an increase in wages, which have not grown in proportion to skyrocketing inflation and cost-of-living in Iran. Truck drivers have also asked for an increase in transportation fees, retirement eligibility after 25 years of service, designation of truck driving as a difficult job, lowered insurance premiums, lowered prices for oil and truck parts (particularly for tires), an increase in the daily quota for gas and oil, and reduced highway tolls and commission fees. Truck drivers want the right to refuse to deliver cargo in harbors and terminals to monopolized state-linked companies, and they also want to stop repressive measures toward truck drivers by the police. This is while the import of Tires like many other major products into the country is in the hands of the IRGC, and other repressive and corrupt forces. Based on reports some transport co-operatives are granted a quota for receiving domestically produced or imported truck tires at subsidized prices, yet they refuse to deliver the subsidized tires to drivers. Instead, the tires, especially those delivered to transport co-operatives in small cities, are brought to provincial capitals or big cities to be sold at free market rates. Distributors meanwhile tend to stockpile tires so they can sell them to drivers at much higher prices. The MEK network inside Iran has captured images of the strike and shared them on social media as the protest continues to spread. Each day, truckers in more cities have joined the stike, leaving Iran full of empty highways and unloaded trucks. 7th consecutive day of truck drivers' nationwide strike. Truckers across #Iran continuing their nationwide strike. The people of Iran continue to voice their dissatisfaction with the corruption and incompetence of the ruling regime as it is expressed in every aspect of life.